Since completing our bedroom makeover last year, I haven’t done much to the space aside from implementing a small bedding update here and there. But with spring on the horizon, I wanted to add something more to the decor than just new sheets or a duvet cover! Until now, I’ve kept the floors bare, since I do love the look of the light wood planks. And truth be told, I’d also never found a rug that I liked enough to commit to! 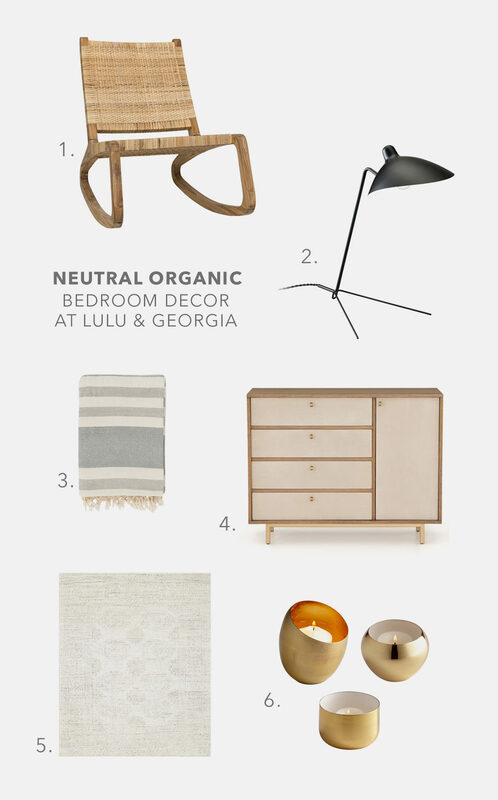 Yet when I spotted this neutral rug with subtle boho personality, I knew it was perfect for our spring bedroom refresh. The rug is from Lulu & Georgia, one of my longtime go-to’s for decor accents and furniture. (I remember when they first launched!) The subtle geometric pattern lends the perfect touch of movement and interest in an otherwise spare, simple room. It’s incredibly soft underfoot, and it has a faded effect that makes it look like it’s been there for years! 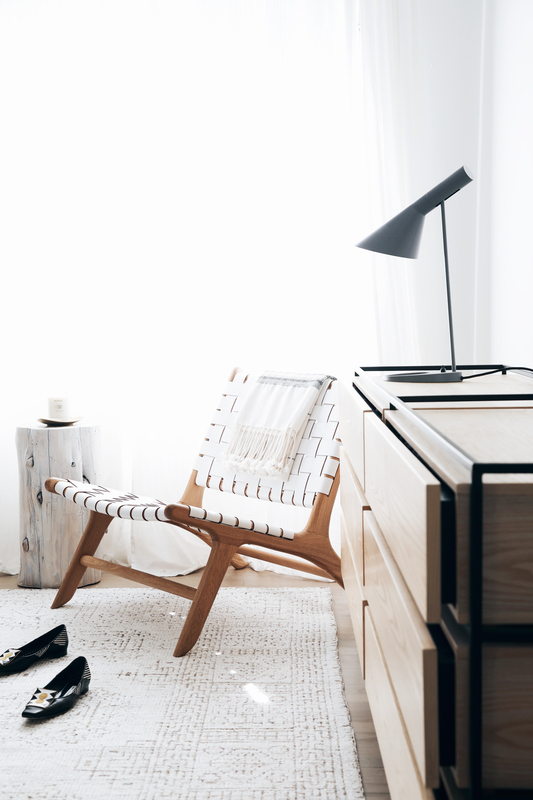 I included it in a get-the-look for this whole bedroom vignette. It’s all from Lulu & Georgia, and it’s all 25% off in their Friends & Family sale right now. 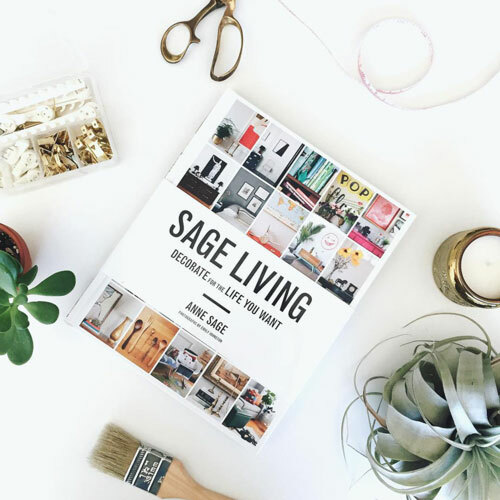 The whole site is discounted at 25%, in fact, so it’s the perfect time to shop for your own spring bedroom refresh — or any room in your house, for that matter! 1. The rattan finish on this woven chair is everything—and I love that it’s a rocking chair, too. 2. I’ve had my eye on this spindly black table lamp for a while. It has such a sophisticated shape! 3. A fringed striped throw is just right for draping over the back of a chair or at the foot of the bed. 4. 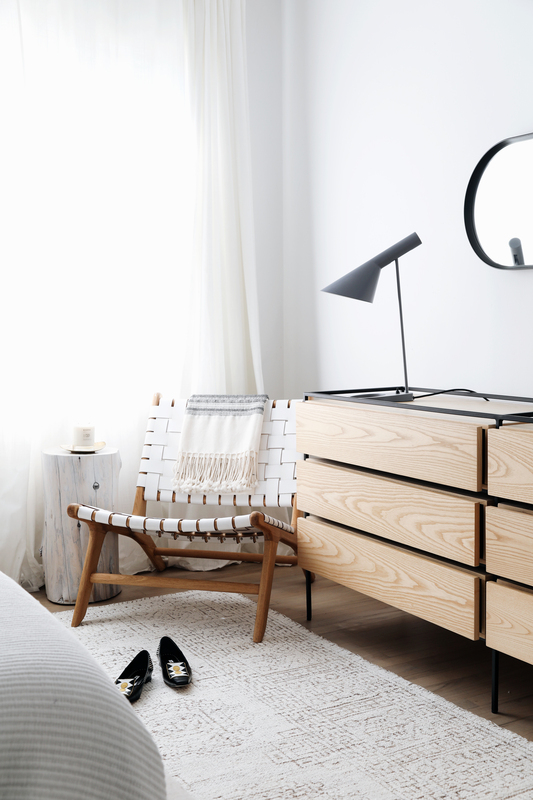 The sexiest bedroom piece I’ve seen in a while, this oak dresser has stunning faux-shagreen drawer fronts. 5. 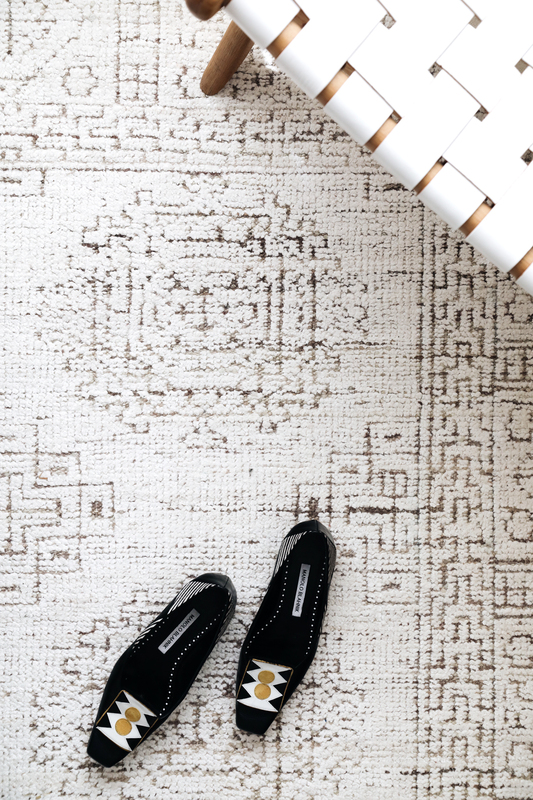 This neutral Persian rug looks just like an antique, with its faded finish and old-world pattern! 6. A trio of brass candle holders adds warmth and structure to an otherwise textile-heavy space.